Family Dog Project » news » Our newest FDP paper is out: Is your dog empathic? Szánthó et al. developed a Dog Emotional Reactivity Survey where they asked owners about their experiences with their dogs in emotionally loaded situations. The new study found that more empathic owners also find their dogs more “empathic”. They rated a puppy picture as more cute and indicated that their dogs are more reactive to their owner’s emotions or to other dog’s behaviour. However, their assessment might not be totally valid, because they perceive dogs more as children than less empathic owners do. Dogs’ seemingly empathic behaviour attracts general and scientific attention alike. Behaviour tests are usually not sufficiently realistic to evoke empathic-like behaviour; therefore we decided to ask owners about their experiences with their dogs in emotionally loaded situations. Our study is the first owner questionnaire survey, which aimed at measuring dog’s emotional reactivity. 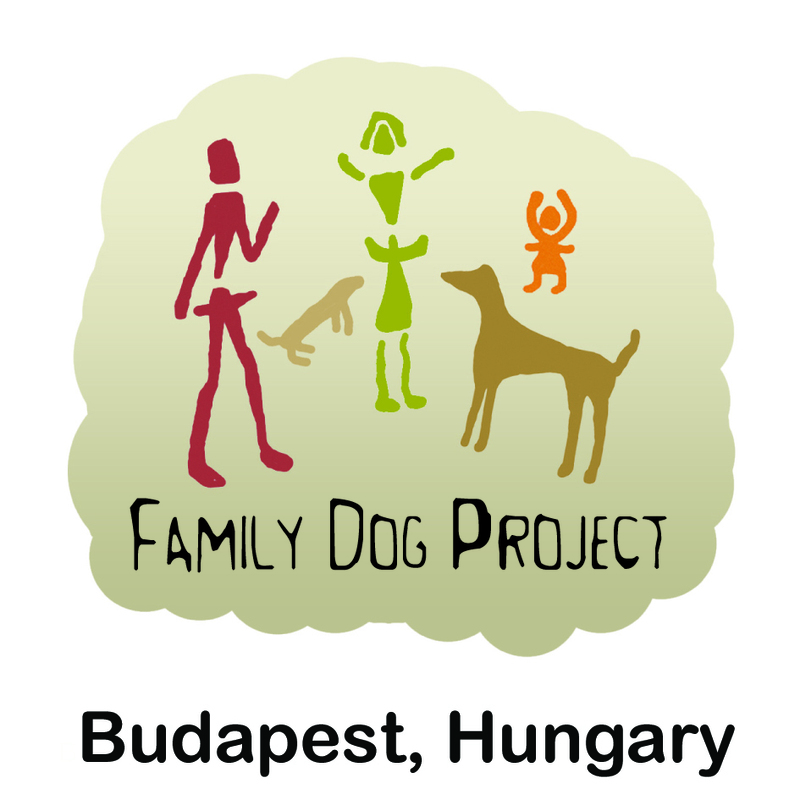 The survey was filled out by Hungarian and the German dog owners. In the German sample more empathic owners reported to have more emotionally reactive dog, as expected by the personality matching theory. The owners’ perception of their dogs’ behaviour is probably biased by their anthropomorphic attitude. Owners who agreed more with the statement that “My dog thinks like a child” scored their dog higher on the “Dog’s Reactivity to the Owner’s Emotion” scale in both countries, and higher on the “Dog’s Reactivity to other Dogs’ Behaviour” scale in Germany. Further results showed that owners who found the dog puppy picture “cute” were more empathic. Interestingly, there was no relationship between the adult dog picture and the empathy level. Dog pictures rated by dog’s owners. 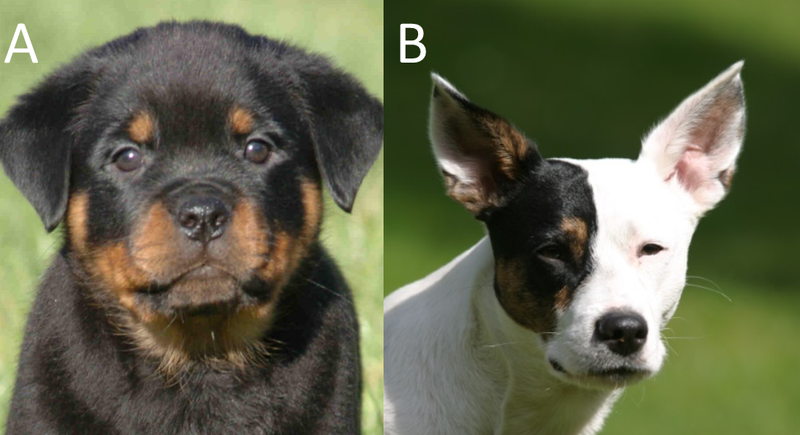 a) Rottweiler puppy, b) Adult mixed-breed dog. Permission to republish as CC BY granted by Debbie Cornell-Charneski and Jesko Wilke, original copyright holders of photos A and B, respectively. It is also interesting that more empathic owners indicated fewer problems with their dogs. It is possible that more empathic owners understand more about the needs of dogs and perceive dog-specific behaviour as less problematic. An alternative explanation is that more empathic owners socialize and train their dogs in a more appropriate way. In addition, older dogs tended to be less reactive toward their owner’s emotions. 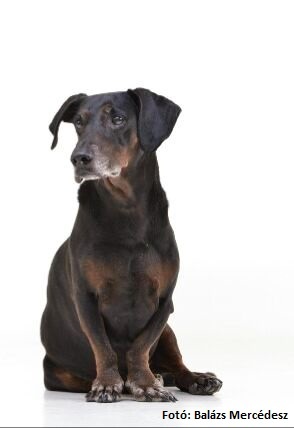 This finding could be interesting regarding the cognitive aspects of aging and could be an important result for a new research project, the Senior Family Dog Project. Although again it is possible that this finding reflects the owners’ beliefs that older dogs are less reactive. In conclusion, although based on several scientific measures the Dog Emotional Reactivity Survey could be a good start for evaluating dogs’ reactivity to emotions, due to the strong effect of owners’ anthropomorphic and emotional attitudes objective behavioural tests should confirm the criterion validity of the survey.